Reprogramming somatic cells into induced pluripotent stem cells (iPSCs) has the potential to benefit regenerative medicine and the study of human disease. 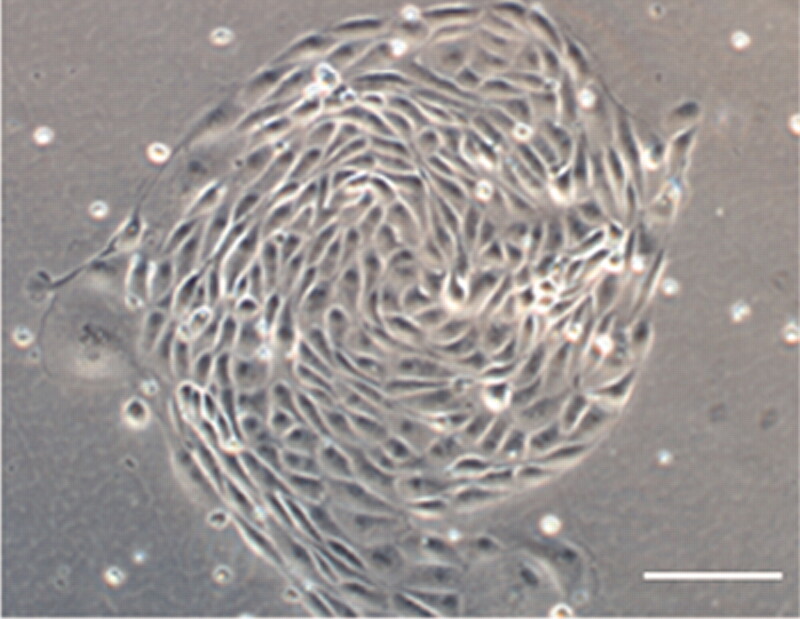 In this issue, two groups describe methods to generate iPSCs from cells of kidney origin. Zhou et al. developed a noninvasive method to generate iPSCs from renal tubular cells present in urine. Song et al. reprogrammed normal human mesangial cells to pluripotency; the resulting cells express genes analogous to embryonic stem cells and markers of all three germ layers. Kidney-derived iPSCs may aid the study of kidney disease and stimulate new therapeutic approaches. See Zhou et al., pages 1221–1228 and Song et al., pages 1213–1220. 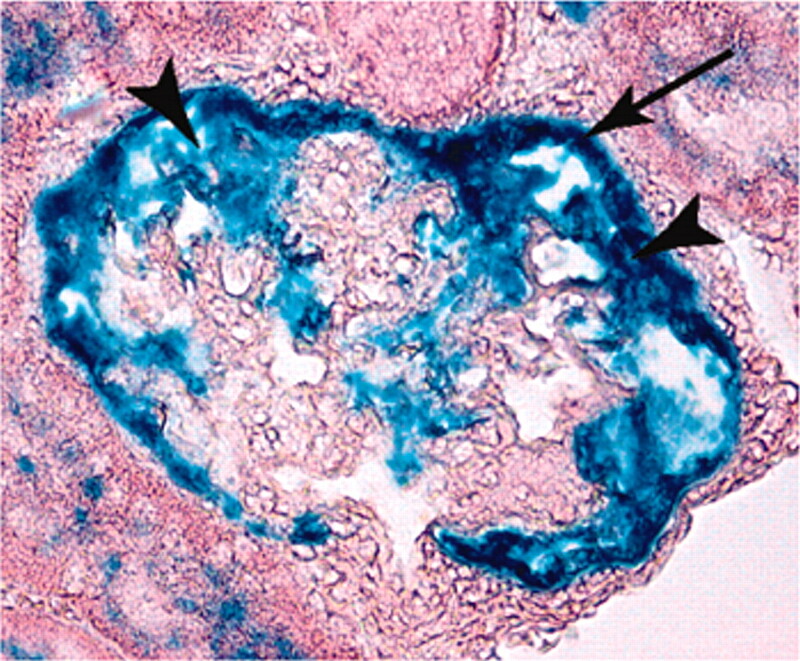 How do the sclerotic lesions that characterize focal segmental glomerulosclerosis (FSGS) form? In this issue, Smeets et al. report that the focal activation of parietal epithelial cells (PECs) leads to cellular adhesions between Bowman's capsule and the glomerular capillary tuft. Subsequently, PECs invade the tuft the deposit extracellular matrix and promote the loss of podocytes. Their data, which derive from three distinct animal models of FSGS and human biopsies, suggest that PECs participate in the development and progression of focal sclerosis. See Smeets et al., pages 1262–1274. The AURORA trial failed to demonstrate benefit of rosuvastatin in hemodialysis patients. Here, in a post hoc subgroup analysis of this trial, Holdaas et al. report that patients with diabetes might benefit from rosuvastatin. In this subgroup, assignment to rosuvastatin associated with a 32% decrease in the rate of cardiac events, a component of the primary composite endpoint. Rosuvastatin did not, however, reduce the risk for the primary composite endpoint in this subgroup. Similar to a secondary analysis of the 4D trial, these data generate the hypothesis that statins may reduce the risk for cardiac events among patients with type 2 diabetes on hemodialysis. See Holdaas et al., pages 1335–1341. 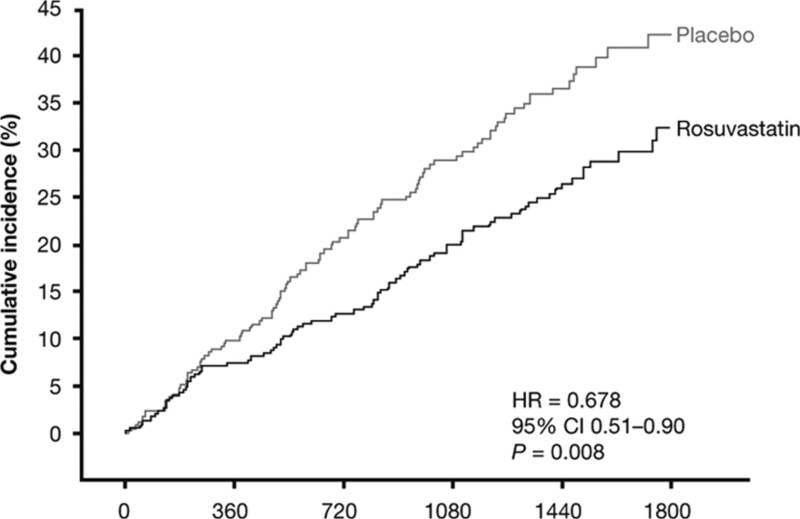 The magnitude of albuminuria associates with cardiovascular and renal adverse outcomes, but whether changes in albuminuria also predict outcomes is unknown. In this issue, Schmieder et al. studied nearly 24,000 patients with vascular disease or high-risk diabetes and found that if the amount of albuminuria at least doubles during 2 yr, the adjusted risk for death during the subsequent 32 mo increases by nearly 50%. Conversely, if albuminuria decreases by more than 50%, the adjusted risk for death decreases by 15%. They observed similar patterns with various cardiovascular and renal outcomes. 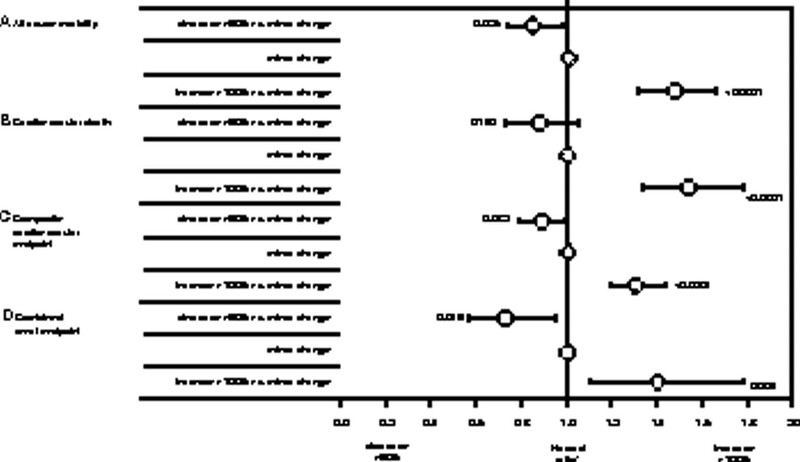 These data suggest that monitoring albuminuria may help in risk prediction. See Schmieder et al., pages 1353–1364. The kidneys of preterm infants are still developing at the time of birth, but how nephrogenesis progresses after birth is not well understood. Sutherland et al. studied kidneys collected at autopsy of 28 preterm infants and 32 still-born gestational controls. 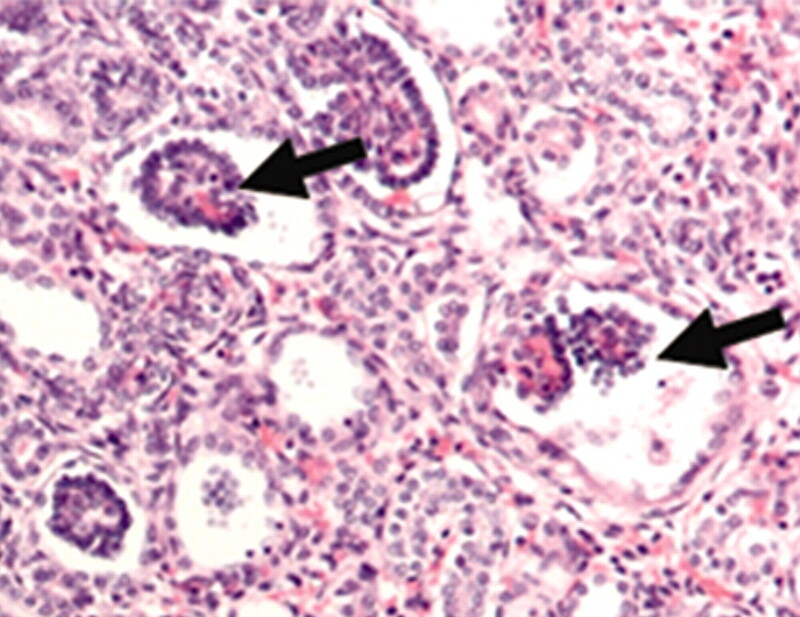 They report that renal maturation accelerates after preterm birth, but preterm kidneys have a greater percentage of glomeruli with abnormal morphology and a larger cross-sectional area of the renal corpuscle, suggesting hyperfiltration. These data suggest that the preterm kidney may have fewer functioning nephrons, which may increase the short-term and long-term risk for CKD. See Sutherland et al., pages 1365–1374.